Together we make a difference. Volunteer. The work of our dedicated volunteers contributes to our goals in making every day special for the deserving pets who are waiting to find loving homes and so much more! Join the hundreds of people just like you who dedicate their time and efforts to helping animals in need. From high school students to senior citizens, Guelph Humane Society welcomes community members who are dependable and have a sincere desire to share their time. We’re looking for dedicated individuals who can commit to a minimum of 2 hours a week, for a minimum of 6 months! Not old enough to volunteer yet? There are other opportunities, like our Junior Humane Club! Currently, we are not recruiting for volunteer positions, as we have an overwhelming response to the positions below! Thank you to all those who have applied and we will do our best to respond as soon as possible. Canine Cleaning involves cleaning out the dog kennels, washing and sanitizing them and making them cozy again for the next night. This role also involves washing the dishes and other odd jobs that help tidy up the place for the day! Don’t think if you commit to this role, you won’t get to spend time with the dogs. Canine cleaners can help walk and socialize dogs after the cleaning is all done! Volunteers best suited for this role will be efficient workers that do well working as a team and independently. This role requires a commitment to a weekly 2-hour shift. Shifts are 9am-11am, Monday through Sunday. Canine Companions come into the shelter to walk dogs and potentially play with them in the playpen, so they can get some nice outdoor time! Volunteers best suited for this role will have experience with different dog personalities and have a general understanding of canine body language. This role requires a commitment to a weekly 2-hour shift. Shifts are every two hours from 10am-close, Monday through Sunday (for closing hours, please see “Hours of Operation”). Feline Cleaning involves spot-cleaning the cat cages and refreshing their litter, food and water. This role also involves cleaning the cages of the small animals, mopping and cleaning the dishes. For those interested in socializing cats, Feline Cleaners are always welcome to snuggle some cats once all the cleaning is complete! Volunteers best suited for this role will be efficient workers and work well independently. This role requires a commitment to a weekly 2-hour shift. Shifts are 830am-1030am, Monday through Sunday. Feline Friends come into the shelter to socialize with the cats! Some cats like gentle pets in their cage, while others might like to snuggle on a lap in one of our cozy chairs. Volunteers best suited for this role will have experience with cats and a general understanding of feline body language. This role does not currently require a commitment to a weekly shift. Volunteer hours are from 11am-close. PetSmart Helpers will travel to PetSmart on Silvercreek Parkway N, in Guelph, to socialize the cats there, tidy up and do light cleaning. PetSmart Helpers may also be asked to transport cats to or from the shelter, as needed, during their volunteer shift. Volunteers best suited for this role will have experience with cats, work independently and talk with potential adopters about the cats, when necessary. This role requires a commitment to a weekly 1-hour shift. There is flexibility in the day and time of the shift. Small Animal Socializers come into the shelter to socialize with the small animals. This can include spending time with a rabbit in a small playpen while she stretches her legs or handling a hamster while he crawls in your hands. Volunteers best suited for this role will be calm and gentle, and work well independently. 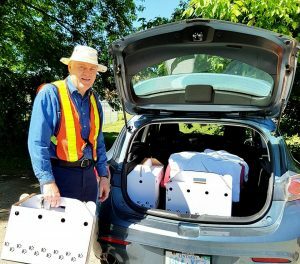 Wildlife Drivers transport wild animals to rehabilitation centers outside Guelph. Wildlife remain contained in a secure box and require a calm, stress-free ride with no handling at all. Volunteers best suited for this role will have their own vehicle and a valid driver’s license. This role does not have a time commitment. Volunteers will receive an email when a driver is needed. The Handyman role includes a wide variety of duties that can range from minor plumbing and building projects to panting and fixing door knobs. This is a great role for a retired individual or someone working part-time looking for a hobby! Volunteers best suited for this role will have a background in maintenance work. This role does not have a time commitment. Volunteers will be contacted as needs arise. The Administrative Assistance role includes a wide range of duties that can include preparing adoption folders, helping with filing, mailing letters, writing cats’ names on our adoption board – the list goes on and on! Volunteers best suited for this role will be organized, have clean penmanship and work well independently. This role does not currently have a scheduled shift. Volunteer hours will depend on available tasks. The Events role holds a variety of different duties to accommodate many different interests. This role can involve planning and advertising events beforehand, setting up for the event and cleaning up, and helping out during the event. 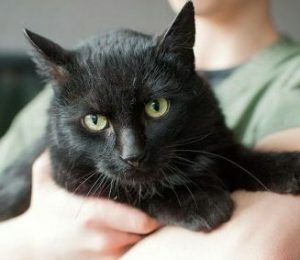 With a wide variety of different events, the duties during the event can range anywhere from educating members of the public about the Guelph Humane Society to caring for and managing the cats at an Adoption Event! This volunteer role can suit almost anyone depending on what interests you most! This role does not have a time commitment. Volunteers will be contacted as event help is needed. Current Guelph Humane Society Volunteers can login to update their information, sign up for new opportunities and log volunteer hours. How often do you train and bring on new volunteers? This all depends on what area you are interested in and when the application is received to what part of the screening process the volunteer program is in. There are two steps to our screening process that needs to be completed before a volunteer is accepted. From there the volunteer must attend an orientation and training session before they may start their time here. When do Volunteer Orientation Sessions take place? Volunteer Orientations are by invitation only. 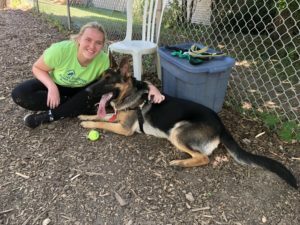 Do I need previous experience working with animals to volunteer at Guelph Humane Society? 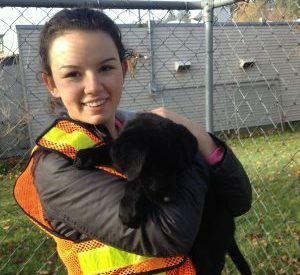 Previous experience is not necessary to volunteering at Guelph Humane Society. When most people think of volunteering at an animal shelter, they often think of what it is like to spend time with their own animals, or animals that belong to friends and family members. In looking at shelter animals, it is important to remember that shelter animals do not yet have the bond with their human family that animals in the community have. All volunteers working with animals will experience substantial on-the-job training by knowledgeable staff members and experienced volunteers. Our training is focused on animal body language, specific animal handling skills and stress reduction techniques. I need a reference letter. Can the Guelph Humane Society provide me with one? Yes, if you’ve completed the minimum volunteer time commitment. However, we can’t guarantee reference letters for volunteers who have stopped volunteering more than 1 year prior to the request. If you anticipate requiring a reference letter, we recommend that you ask for a reference letter at the time of your departure in case your supervisor is not available to write you a personal reference in the future. Can I change volunteer positions? How do I change my scheduled hours? At the Guelph Humane Society, it isn’t only the staff that depend on you, it’s the animals! For this reason, we ask that you try hard not to miss a scheduled shift, but we also understand that some things can’t be helped. Below is the process to let us know when those moments in life can’t be helped. Call the front desk and leave a message. We will not call you back, but we will record this information and your absence will be excused. Call and email the Volunteer Coordinator. Email a “Volunteer Absence Notice” to the Volunteer Coordinator who will review your notice and discuss it with you as needed. Contact the Volunteer Coordinator via email volunteer@guelphhumane.ca about going on leave of absence, changing shifts, or resigning. If at all possible, please try for one month notice. The animals at the Guelph Humane Society rely on the staff and volunteers to take care of them. Volunteers that are consistently absent for their shifts for unexplained reasons are not fulfilling their commitment to the Guelph Humane Society. We understand that sometimes there are emergencies and shifts will be missed. The Volunteer Coordinator will be in touch with you to discuss your absences and how to move forward with future volunteer shifts.